So, with the hotel booked, all I needed was a return flight on Avios (business class) between London and Madrid. If only it was that easy …. What does this mean in practice?! For the flight times I wanted, I would be travelling out on BA and back on Iberia. Total taxes – £42.60. Ironically, the tax on the Iberia leg is lower than it would have been in the old Reward Flight Saver days! I saved £74 over booking the same Avios reward flights as a return trip on ba.com. This is, of course, totally crazy. How many people actually know that this is how to do it? Someone at IAG really needs to bang some heads together, because there must be a better way. > number is in the booking – it doesn’t know I have status. BA please note. Does IB allow free seat selection at time of booking then? It seems to, at least for short-haul business class! Award seats with Iberia qualify for free seat selection from time of booking regardless of class/distance flown in my experience. Nice result re the return seat! Thankfully I booked just prior to the change so had a mix of 3 BA flights and 1 IB without an issue and all as RFS. Do IB still offer domestic UK connections albeit with a little more tax on a redemption? If not then major cost increase for those of us in the regions. Must admit I tend to only go economy when flight is under 3h – amazing availability and free seat selection as Gold, my legroom on the IB LHR – MAD segment was stunning. What options did you have if booking from Avios.com? Brillian post thanks…..will look to do the same myself now. Also booked the Grand Melia Fenix for my free night in 3 weeks time. Booked my outbound with Ryanair (dare I say) as it was £30 and good flight times. Was planning on booking the return on Iberia.com with avios. Any idea how long it takes to transfer avios to Iberia Plus from BAEC? Instant. However, your Iberia account must be 90 days old before it will accept a transfer in or out. I’m staying there on 19th October! I used RFS for economy flights LHR-MAD on BA. I couldn’t see the point in using precious avios for a Business Class ticket for a short-hall! Any other HFP’ers staying there on 19th? Madrid isn’t SO short haul – 2hr 30m! I can drink a lot of Club Europe champagne in that time, albeit with a 10am departure I may not be up to it! I think the crucial point here that even though avios.com, ba.com and iberia.com all use the same currency for award bookings, each of the sites have their own unique benefits. To get the most out of your Avios it is therefore important to know the ins and outs of each of these sites! Raffles perhaps a quick summary of the perks of each of Avios vs Ba vs Ib? I only use BAEC so I didn’t realise there was any advantage to the others. Probably worth covering again at some point, since I haven’t written about it since IB dropped Reward Flight Saver. I am a big fan of Iberia for reward bookings and am used to the quirks. I have just been checking a IB flight from MIA-MAD . On the date I want, BA has availability but IB dont this is the first time I have seen BA have more availability than IB on this route. Problem is BA want over £200 per person more in taxes than IB.. I have also seen a suitable AB flight into DUS with only £1.60 taxes and its showing the new J seat I would book this but AB have a habit of changing the plane and not sure I would want the old seat on an overnight flight. The old AB seat was fine. Not great, but fine. I wouldn’t say that if I’d paid £300 of tax, but to save 99.5% of that amount I would take the old seat. As time goes on, the chances of the new seat get higher and higher as well. I Have booked MIA-TXL AB new J and will hope there’s no equipment change. If so I am sure I can tuff this one out for £1.60. Have also booked upfront on AA SJU-MIA for another £1.60. A330 is great fun but you can’t reach the magazine pocket in front of you ! Do you really get internal Spanish flights on Iberia free? At one time, I thought stopovers in Madrid were included free if flying to elsewhere in Spain. And Hingeless says you can change in Madrid for no extra points. I guess he means less than 24 hours so transit rather than stopover. I can’t find anything about it on BA or Avios and whenever I search, usually to VLC or ALC, always get shown fares charging 4500 / 9000 for the internal flight, on top of the 7500 /15000 for the London – Madrid flight. Anyone know how this actually works and how to book? It does seem to have gone away, perhaps as part of the Reward Flight Saver changes? Just done a pile of tests on iberia.com with no joy. Sometimes is good value to just buy the return ‘single’ ticket in the local country. I was looking for return flights to Lisbon next May and could get outbound but not return. BA wanted £120 both ways if booked a return from, but the reutrn leg LIS-LHR leg if booked using Portugal as you’re ‘from’ destination was only 45 Euros(!). Therefore, booked Avios on the outbound and paid a cash for the single leg return. Thanks very much Raffles. I m once again in your debt! I have managed to book 2 economy flights from LCY in November, returning on Iberia business a couple of days later to LHR (on the 340 – thanks for the tip). Cash price would have been £956 in total, and avios price is 45k avios and £35.00 taxes on outward leg and 35.61 Euros on return. So I can sort of con myself that 50k avios have saved about £886, so approx 1.77p per avios (which is OK). Hotel wise I have the Melia Fenix for one night, and a mercure for one night (also paid on points). So all in all a pretty cheap couple of nights in Madrid. What a brilliant site this is. Silly question time. 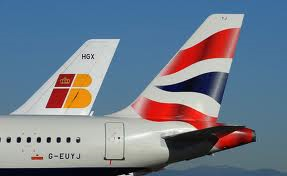 Assume you need both BA Avios + IB Avios to book on each of the websites? Yes and no – you need to have a balance with the relevant site, but you just use Combine My Avios to move your points between iberia.com, ba.com and avios.com as necessary.